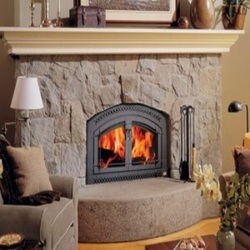 FPX Fireplace | Xtrordinair Wood Burning Fireplace delivers incredible ambiance and heat. 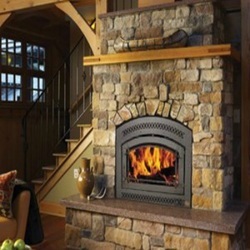 The very best wood fire places are available at Bare's Stove and Spa. Nothing warms your home like wood or matches the atmosphere of a welcoming wood fire. Bare's is operated in Bozeman, Montana. The large showrooms are open Monday through Saturday for your convenience. Visit the hearth professionals at Bare's today! Please browse the gallery below. Please contact Bare's Stove and Spa if you need any assistance. 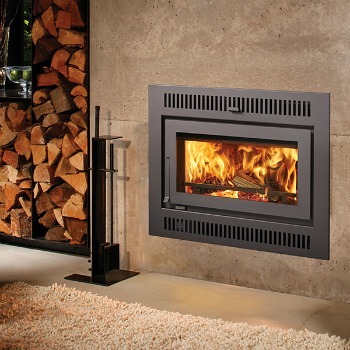 The 42 Apex™ wood fireplace is crafted to deliver high performance and efficient heat. This innovative new fireplace can heat up to 2,500 square feet. Rest easy with the 42 Apex. The Apex fireplace can provide up to 12 lo hour long burn times. ​The 36 Elite, is a large EPA certified wood burning fireplace that powerfully heats like a furnace. This catalytic unit sports the Posi-Pressure heating system that evenly disburses the heat all the way through the home. This unit also is available with a fire screen- perfect for enjoying the fire with the doors open. To tailor the look of your unit, select from a variety of doors and options. Personalize the style of your fireplace to match your home's decor and design. This unit can heat up to a 2,500 square foot space. ​Heating like a furnace, the powerful 44 Elite large catalytic wood burning fireplace is also EPA Certified. This durable unit can heat up to a 3,000 square foot space. Consider adding a optional screen to the unit so that you can use the fireplace with the doors open, when not being utilized for heat. Customize the look of the unit with your choice of doors.